Hey friends! Happy Watermelon Day! I hope you’re spending it well eating lots of watermelon. Watermelon is one of my favorite fruits and I’m so happy there’s such a day as this. When I think of summer I think of eating watermelon on a hot day next to the pool or a campfire. I just love watermelon so I knew I had to create something fun in honor of Watermelon Day. I present to you Crochet Watermelon Earrings. Let me tell you how I got to the idea of watermelon earrings. If you’ve been following me on Instagram you may have recently seen a pair of pineapple earrings I made. I love cute and quirky things like that! I fell in love with those earrings and wanted more fun fruity earrings. Crochet Pineapple Earrings by Alexis of Persia Lou. When I saw Watermelon Day was coming up I knew that was the fruit I was going to make next! :)These earrings are so fun and sassy they’d be perfect to wear at an “End of the Summer” bash or party. They’re so easy and quick to make its crazy! The pattern is super beginner friendly if you like working with embroidery thread and a tiny crochet hook. Even if you’ve never worked with embroidery thread and a tiny crochet hook its not as scary as you might think. 😉 The little watermelon seeds are made by embroidering a “french knot”. Don’t worry if you’ve never tried hand embroidery, neither have I before this project. I found a really easy to follow Youtube tutorial on how to make the french knots that I’ll link below when it comes time for it. 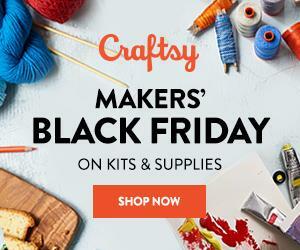 So if you’re ready to get your crazy crochet fruity craftiness on, let’s get started! Note: You won’t be working in rounds. You’ll be turning at the end of each row to work in rows. Starting with the pink thread. Row 3: Chain 1, work 1 SC in the 1st stitch closest to your hook, work 2 SC in next stitch. *1 SC, 2 SC, repeat from * one more time. Turn. (9 SC stitches total.) Cut your thread and finish off to join in the next color. For Row 4, I figured out after the 1st watermelon that if you crochet over the pink yarn tail it makes your edging so much cleaner and straighter. See the pics below. Row 4: Join your green thread with a SC in the last stitch of Row 3. SC in the next stitch, 2 SC in the 3rd stitch. * SC, SC, 2 SC, repeat from * one more time. (12 stitches total.) Cut your thread and finish off. Weave in all your ends. Now we’re going to use our embroidery needle and the black thread to make our watermelon seeds. You can make however many you feel like making and place them wherever you like. You don’t have to do them exactly like I did. I watched this awesome video on how to embroider french knots. To finish off my watermelon seeds I just tied the ends of each seed together. If you’re worried about the knots coming undone you can always dab a bit of glue on them to hold them in place. Once you add your watermelon seeds you need to pin and block your watermelon slices. Spray the backs of the watermelon with the fabric stiffener. Then let them dry, while they’re drying, now would be a good time to plug your glue gun in if you haven’t already. When your watermelons are done drying, its time to glue the earring posts on. You can place them in the center like I did with my 1st pair or at the point of the slice so that they dangle off your ear a bit. Once the glue has dried you’re completely finished. I would love to see your new watermelon earrings! You can share a pic of your earrings on Instagram or Facebook and tag me @c.s.handmadecrafts and use the hashtag #CSHCrafts for a chance to be featured on my feed. I hope you had a blast making these earrings today! Thanks so much for reading and making with me!